GRAND RAPIDS – A gleaming bus pulls to a stop along a mostly barren street south of Grand Rapids. As the bus pulls away, the scene morphs and the bus is now surrounded by millions of dollars in development ‒ sprouting as if by magic. Such was the promise in this animated promotional video for a $35 million transit route called the Silver Line, launched with great fanfare in 2014. Backers said it would transform a nearly 10-mile stretch of South Division Avenue from downtown Grand Rapids to the suburbs with dedicated lanes for hybrid electric buses. Commuters would trade in their cars. It would return $160 million in new development. Four years later, most of South Division is virtually the same ‒ and daily rides are about half what was predicted. Across the state in Detroit, the QLine, a $140-million electric streetcar line that connects downtown to Midtown along Woodward Avenue, attracted less than half of its projected riders for several months its first year. It’s been beset by delays, crashes and falling popularity. And in Lansing, transit officials pulled the plug last year on a controversial $133 million bus rapid transit (BRT) line when expected federal funds dried up. Nearly $6 million in state and federal funds had already been invested ‒ in a project whose backers also forecast dramatic development benefits. All of which beg some important questions: Are big-city mass transit projects overpriced and overhyped? Or are these three Michigan cities simply taking the wrong approach? One national analyst of public transit and urban development noted that BRTs have proven themselves in places like Cleveland, where the HealthLine has been called a catalyst for $6 billion in development along its 6.8-mile route. But he urged caution in cities and mass transit advocates making extravagant promises of development tied to such projects. Success in Cleveland doesn’t guarantee the same in Grand Rapids. Bus rapid transit is more likely to succeed when its serves densely populated corridors in places where auto congestion can make mass transit more appealing than driving. “You want to see nice, compact development where everything is close together,” Zimmerman told Bridge. Those factors do not necessarily apply to the streetscape along much of Silver Line route. Another national transit advocate said Michigan’s historic love affair with the car might make mass transit more difficult. “There is certainly a car culture in Michigan,” said Art Guzzetti, vice president for policy in the American Public Transportation Association, a Washington D.C.-based nonprofit advocacy organization. But Guzzetti – who rode the Silver Line at its opening – said it’s premature to assess its success or failure, or that of Detroit’s QLine. Guzzetti argues that robust public transit is a foundation for healthy urban areas, pointing to research showing millennials prefer cities that are walkable with good public transit. “Put down a freeway and you put down sprawl,” he said. In the meantime, local anti-tax advocates and groups backed by oil billionaires Charles and David Koch are fighting mass transit projects in cities across the country. The Koch-backed group helped defeat a $5.4 billion Nashville transit plan in May that it argued was a gross misuse of taxpayer funds. A persistent critic of the Silver Line considers it just that. “It’s a big waste of public funds,” said Jeff Steinport of the Kent County Taxpayer's Alliance, an early critic of the Silver Line. 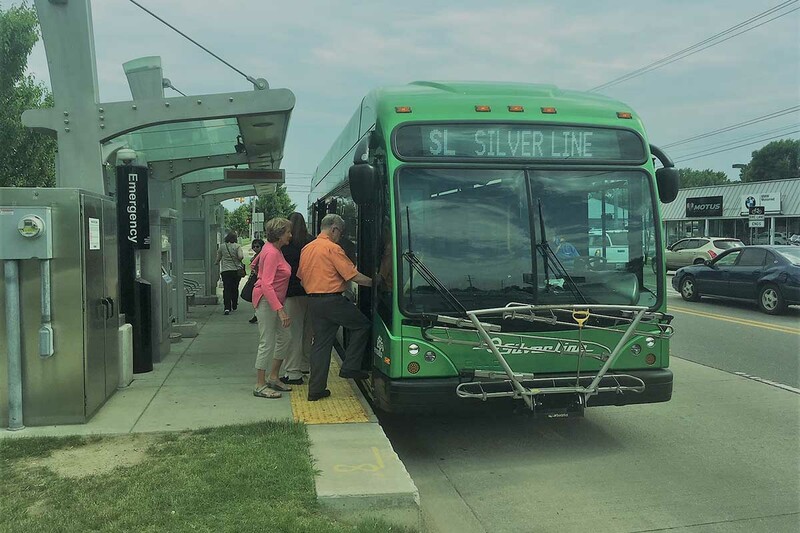 Conrad Venema, a planner for the Grand Rapids transit system, insists however that transit officials are “happy” with the Silver Line’s performance – even though it’s serving just over half the projected 5,000 weekday riders a day. The Cleveland Healthline bus project is considered the gold standard for how to implement bus rapid transit along a busy urban route. Venema noted that daily rides – including a second traditional bus line that preceded the Silver Line – are up along the South Division corridor from about 3,300 riders before the Silver Line to more than 4,400 by 2017. But it’s not only high-profile transit projects in Detroit and Grand Rapids that are under-performing. Bus ridership – down around the nation – has been falling in Michigan cities as well. In the Lansing transit system, rides peaked at 11.4 million in 2011. That number fell 15 percent to 9.7 million riders by last year. In the Grand Rapids bus system, which also serves five surrounding cities, rides fell from 9.5 million in fiscal 2014 – the year the Silver Line started – to 8.5 million in fiscal 2017. Nationally, bus ridership fell 4.3 percent from 2016 to 2017 and another 4.1 percent the year before that. Analysts say a variety of factors have chipped away at ridership, including falling gas prices between 2012 and 2016, an increase in employees who work from home and the rise of personal ride-hailing services like Uber. All this poses a challenge to public transit. As with other BRT projects, the Silver Line is aspirational, driven by a kind of “Field of Dreams” conviction: If you build it, they will come. BRTs have been around since the 1970s, often promoted as a cheaper and more efficient alternative to light rail. Pittsburgh claimed the first U.S. BRT in 1977 with its South Busway, followed by two other routes that operate on bus-only roads. But it’s Cleveland’s HealthLine that’s most often identified as the BRT success story. It opened in 2008, with $200 million in public funding. While $50 million of that went to specialized buses with two doors on each side and raised bus platforms, the project also poured $150 million in street improvements along the corridor. Annual ridership has increased about 60 percent since its opening. HealthLine connects the city’s central business district with the Cleveland Clinic medical center and cultural attractions on the east side including the Cleveland Museum of Art, Case Western Reserve University, Severance Hall, home to the Cleveland Orchestra, as well as University Hospitals. It also encompasses the three-mile Health-Tech Corridor, which includes four hospitals and more than 170 high-tech and health-tech companies. In Grand Rapids, Silver Line buses reserve the right-hand lanes on two-thirds of the route weekdays during morning and late afternoon rush hours. The buses are equipped with GPS signaling devices that can hold a green light for a few seconds if the bus is behind schedule. Passengers board on 33 raised and sheltered stations, entering the bus at floor level without stepping up. Stations are equipped with ticket vending machines so passengers don’t have to fumble for fares. Buses arrive every 10 minutes in rush hour. Transit officials say it shaves six minutes off the time of a traditional bus from its southern end to the edge of downtown. Would that be enough to drive ridership and subsequent development? The year before it opened, GOP Gov. Rick Snyder spoke at its groundbreaking. The public stakes in this project are considerable. A $31 million federal grant in 2012 nudged the Silver Line forward, along with nearly $8 million from the state. The project actually came in at $35 million, so excess funds were turned to other federal transit projects. It costs about $2 million a year to operate, with about a third of that coming from a six-city tax increase approved in 2011 and renewed in 2017. But looking out the window of the Silver Line, a passenger views the same drab parade of used car dealerships, modest strip malls and fast food outlets that have been there for decades. Week-day daily ridership, once projected at 7,200, stood at about 2,700 in fiscal year 2017. Just north of the intersection depicted in the transit system’s promotional video for the Silver Line – 54th Street and South Division – a 12-year employee of a gun shop and shooting range stepped outside recently to survey the streetscape. He looked at an abandoned golf driving range across the road and a used car lot with five cars on display. Next to that, a closed tire shop. In Detroit, early returns on the QLine have been underwhelming as well. Ridership on the 3.3-mile streetcar line along Woodward Avenue dropped from about 4,300 a day its first six months to about 2,700 a day, after it began charging $1.50 for passes in September. QLine backers had forecast 5,000 to 8,000 riders a day. While it received nearly $50 million in state and federal funds to build it, it is to be operated and paid for by a private group until 2027. The QLine does draw people going to concert halls and sports venues along the route. But it offers little in the way of creating an integrated transit network that experts say the larger metro Detroit region desperately needs, particularly for low-income Detroiters who need reliable transit to reach jobs outside the city. That remains elusive after voters in 2016 rejected a $4.7 billion regional transit upgrade. Transit officials were working to put a new $5.4 billion transit plan before voters in November; however, Bridge has learned that the deal is dead, for now. Metro Detroit remains the only major U.S. urban area without an integrated public transit system, which is why the story of Detroit resident James Robertson – who rode buses and walked 21 miles a day to and from a factory job in Rochester Hills – went viral. The city also reportedly lost out as a contender for a second Amazon headquarters in part because the region lacks strong mass transit. 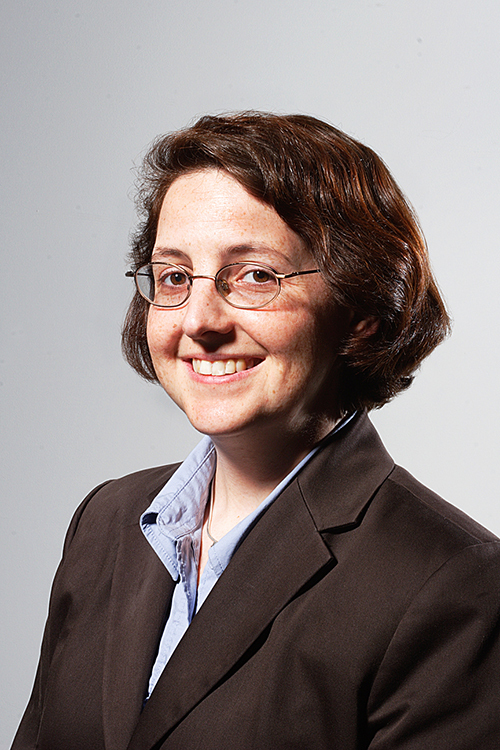 Megan Owens, executive director of Transportation Riders United, a Detroit transit advocacy group, said she expects the QLine to boost business along the route. But she said it has “limited value” to commuters. Meanwhile, Owens said, the larger issue of a sub-par regional transit system remains unsolved. QLine advocates, however, ask for patience and predict better days ahead. “New systems take time to mature, (for) people to understand their options and ridership to grow,” Mario Morrow, spokesman for the Regional Transit Authority, told Bridge Magazine earlier this year. In Lansing, plans for a $133 million BRT from the state Capitol to Meridian Mall 8.5 miles to the east faced opposition from groups that included business owners, the Lansing Regional Chamber of Commerce, Michigan State University and the Meridian Township Board. After nine years on the drawing board, the transit board shelved it after $99 million in anticipated federal funds fell through. As in Grand Rapids, backers promised the Lansing project would spur development, much like Cleveland’s HealthLine. At the time of the vote last year to scrap it, board member Donna Rose said “Donald Trump did us a favor” by cutting federal funds for the project. Bradley Funkhouser, CEO of the Lansing-area transit system, declined to say if officials would seek to reinstate the project if federal funds become available. “There has been no discussion about reinstating a BRT as originally presented,” he said in an email. He declined comment on the potential merits of the project. Fred Wurtzel, vice president of the National Federation of the Blind of Michigan, said members of the Lansing area blind community were also concerned about access to the buses on the proposed center lane to be used for service. “You could take those funds and put it into improved services and get a lot more out of it. We need good transit, but not this project,” Wurtzel said. Zimmerman, of Smart Growth America, said dense population along a BRT corridor can be a key predictor of success. Ideally, it should be within a quarter mile of where lots of people live and work. But that doesn’t describe much of the Silver Line route in Grand Rapids, particularly the southern end, where South Division is dominated by commercial lots and surrounded by low-density single-family housing. There are no large housing complexes near this end of the line. Unlike Cleveland’s HealthLine – which connects the central business district to major hospitals and a cluster of cultural institutions – the Silver Line has no such magnet on its southern end. And comparatively speaking, Grand Rapids isn’t all that congested when it comes to automobile commutes. According to a 2017 study, Grand Rapids drivers spent an average of 13 hours in congested traffic in 2016 – compared to 42 hours on average in 240 U.S. cities. On most weekdays, traffic into the city moves relatively smoothly on principal commuting routes like U.S. 131 and Int. 196. That might help explain why just 2 percent of workers take public transportation to jobs in downtown Grand Rapids. When the Silver Line opened in 2014, the transit authority built a 200-space park-and-ride lot at its southern terminus with expectations it would be embraced by commuters. There’s plenty of room. Roughly three dozen cars sat in the lot one recent Friday morning at rush hour. That included a van belonging to Erin Choi, a physical therapist who works at Spectrum Health Butterworth Hospital downtown. She’s been riding the Silver Line since it opened, driving from her home five miles away. She cites a host of benefits, including that Spectrum pays for her parking pass, as it does for any employee who rides the transit system. “It’s just a lot more convenient than driving into work,” she said. “It’s better for the environment. Plus, I can read on the bus. I can’t do that in a car. And it does ease congestion downtown. I'm very familiar with the bus line proposal in Lansing, I drive that route everyday. Lansing has this obsession with Michigan Ave. being the gateway to Lansing. The idea was seriously flawed on a number of levels including making bus riders get to the center median to board a bus to the business owners who would lose left turn drivers to get access to their businesses and a key left hand merging lane to get access to the freeway would be lost due to the center lane being for buses only. Perhaps Grand Rapids needs to fly drones over US 131 and I-96 during peak times to see where the traffic congestion is. The bus lines do not offer services from the northern or eastern suburbs where most of the congestion begins and ends. Airport service, which would included covering the eastern areas around GR, would be wonderful. On major error in the article - "While it received nearly $50 million in state and federal funds to build it ...". Where does the author think that money came from? The sky? A magic tree? No, it was taxpayer money coming from your and my pockets. Other stories have stated that 200,000 people per day come to Detroit for jobs. I'm sure there are a number of Detroiters that travel to the suburbs for jobs. The Q-line is servicing how many of these people? We already have SMART running from parking lots in the suburbs to downtown. The Q-line money would have been better spent on investing in new and/or more busses for those routes. At least the busses I have seen on those routes are mostly full. We already have mass transit in Detroit in the form of SMART. Mark Hackell is correct when he says we don't need another transit tax when we already have a transit system that could use the support instead. When it comes to paying, why is it that the property owner is always on the hook to finance someone's fantasy. If you want to build something, take out a bond and let the ridership fees pay for operation and payment of the bond. These "it's only a Starbucks a day" millage increases have me drinking so much coffee that I'm floating away. Take away these extra payments and the property tax would decrease 25%. Not a mention of land use policies? That is pretty disappointing in a Bridge article, I expect more. Grand Rapids has been a hard-fail in terms of land use policy reform; transportation needs supportive land use policies. When these mass transit projects fail to measure up to the rosy initial projections, the backers usually say 1) more time is needed for the idea to be a success or 2) the undertaking needs to be even bigger than originally planned. One thing you will never hear them say is that their proposal was ill-founded in the first place. Generally speaking, copious amounts of red ink and low ridership will do that for them. It's not that we lost interest, or that our fascination with cars over influences us. It's the fact that we live in a Rural Michigan. What we need are more trains to get people to the bigger cities. I would love to take a train, and spend a long day in a bigger city and then take a train back to my rural hometown. Instead, our whole train infrastructure has been removed and forgotten. Better yet, there is prime development to a train infrastructure and runs right down the middle of I-75. Secondly, when my family and I visited San Cristobal de las Casas in Chiapas, Mexico, I was impressed with their van-based transit system. The vans (combis) were numerous, low priced, and heavily used. By contrast, our huge urban buses are generally empty and, because they are so expensive to run, don't run often enough to get busy people where they need to go on time. In the case of Grand Rapids, they cut essential corners. An absolute fundamental of BRT is FREQUENT SERVICE. Silver Line runs decent during weekday peaks. Outside of that, the service is not frequent. Every -20- minutes during weekday middays and every half-hour on weekends? Regardless of capital infrastructure, those service levels simply aren't attractive. They also "missed the bus" on vehicles. The buses used for Silver Line are -exactly the same- as regular Rapid buses. Uncomfortable, rattling Gillig "bathtub buses" that don't remotely approach the train-like experience promised by BRT. I am supportive of Silver Line (still!) -- but these cut-corners need to be addressed for the system to succeed. Fortunately, no expensive capital retrofits are required. It's just a matter of making smarter -operating- decisions with a worthwhile capital resource. As one of the early members of the Kent County Taxpayer's Alliance, I had fought the GR Silver Line; it was misguided from the egg. The contractors and bus driver's union peddled this scam to help line their pockets, and they had the money. Honest citizens were powerless. The Cleveland thing happened to coincide with the collapse of the Canadian health care system-anyone who could afford to went to the Cleveland Clinic(CC), Mayo, and a few hospitals in Bufffalo and Detroit to get quality care. I know that the CC built a 300 million dollar radiation therapy unit, and the CC isn't even known for cancer; its strong point is heart disease. The Canadians were treated for 6 weeks and so stuck around, stimulating motels, restaurant and entertainment businesses. The 6 billion mentioned had nothing to do with the Healthline. So we here in GR are taxed to pay for raid on the public treasury. The lesson for Lansing and other places that fantasize "improved transit" and the warm cuddly "New Urbanism" that that cling to this money maker for the ward heelers is to make their own, original mistakes. I do not support these guys with bright ideas in my campaign for Michigan's 26th senate district. Here's what the future holds regarding development. All sorts of tax abatements, grants and other incentives will be given to developers to build in the areas designated by the mass-transophiles who inhabit city planning offices. It will be financially incomprehensible to build elsewhere, regardless of where the customers and suppliers are, because the taxpayers will be picking up so many of the costs. Many of the new developments will just cannibalize both lessees and customers from elsewhere in the city. Rather than true growth, it'll just be a wealth transfer. Then the mass-transophiles will say, "See, we told you! Look at all this new development!" Multiple people commenting on just this site alone pointed out the folly of these projects. The problem starts with the obligatory transit study. Has there ever been one conducted anywhere, by anyone, that said, "Sorry, folks, but this is a bad idea guaranteed to be a huge financial drain will little return. There are many better ways to spend tax dollars"? The modern-day synonym for 'financial pragmatist' is 'naysayer'. For whatever reason, citizens always lie in these studies about how much they're willing to pay per ticket and how frequently they will use the service. It happens with airport surveys, it happens with trains, it happens with buses. And not one single consultant ever controls for it in the "we're going to tell you what you're paying to hear" reports they issue. As long as we keep paying people six-figure salaries to be wrong, this is what we'll keep getting. The fact is that when it comes to infrastructure, almost everything in this country is heavily subsidized. That includes not just public transportation, but freeways and suburban roadways. Yes, it's true that for a short time, freeways were paid for almost entirely using gas taxes and other directly related fees. Those days however are long, long gone. There is fat everywhere in America. You don't get trillions upon trillions in debt from being fiscally prudent. For every transit line that is uneconomical, there are tons of suburban roads that should never have been built. It's all a mess. What transit supporters are trying to get at is that, ultimately, dense neighborhoods require less infrastructure spending per person. Look it up - that's the reality. And so transit supporters want more transit because it makes higher population densities more feasible. Without good transit the parking requirements alone tank the possibility of building true urban neighborhoods. But of course most people against transit really just hate the idea of living in a dense environment. They want tons of personal space, and aren't worried about the cost to society. Maintaining utilities and roadways for neighborhoods were maybe 100 people live is inordinately expensive and - consequently - often subsidized. It is what it is. So let's be honest about it, rather than portraying urbanites as leeches and suburbanites as rugged individualists. I'm sick of that argument. You should first ask why it is so heavily subsidized. Could it be because it provides politicians to sell voters on their importance by bring money to the community? If that is the case than performance becomes a secondary concern and accountability is avoid with all efforts. Even you show a disregard for the end user, you say people want 'tons of personal space' rather than asking what the public wants. New York is the exception what you claim, so people live where they want because of what they want. Simply because Michigan does live in high density housing does mean it is about space, maybe it has to do with how they want to live and what the locations provide. As for the roadways in neighborhoods, it may cost more to build the roads but much of cost was part of the initial develop cost covered by the developer and include in the cost of houses. It we are to believe that roadways fail because of use then the neighborhood roads so be the lower costs maintenance. If initial construction is covered by the house initial buyer and the maintenance is lower cost are you so sure that the subsidized cost of neighborhood roads are government costs that are overwhelming the system and quality of roads? I think you are overstating the cost versus paying. Who pays the fuel taxes those who have the cars or those who live in urban settings and ride mass transit? The questions we should be asking is what people want from transportation and why they select the particular means they use to fulfill those wants and needs. Roads have been a feature of civilization since the beginning of time. And sure they are paid for or maintained by the state for every one's use and benefit. Paying for vehicle, maintenance and operator of the vehicle that rides on the road is taking subsidization to another level and crowding out private solutions. These studies and consultants owe their existence to the same people pushing to build these systems they won't bite the hand that picks and feeds them. All these people just can't stand and deny the fact that people just refuse to do what they should do! Here's another picture of why mass transit is a failure. in addition to the failing Silver line, GRATA runs another separate failed system called the Rapid. This consists of 24? person buses that are supposed to cart elderly and handicapped people around town curb to curb to their various appointments, (why not taxis?). These buses can be seen all over town carting 1 or 2 people and more often none in their 2 dozen seats. Now after several years of Uber and Lyft of doing the same thing (way cheaper yet), why does this system still continue in it's money and pollution puking operation? Because government run/sponsored enterprises are run by political not financial considerations by people not spending their own money. Rather than give each rider a Uber certificate and save a crap-load of money, the powers in control at GRATA decided that even though they might lose $10 for every dollar collected they still get the buck and the $10 lost .... ehhh ... came from somewhere else ,(our grand kids in the future paying off our government borrowing). And extra pollution doesn't matter if you have good intentions. These are the most vile types of do-gooders and deserve nothing short of prison for this corruption, good intentions are no excuse . There are three foundation flaws made by proponents of Michigan approach to mass/higher efficiency transportation; the proponents are preoccupied with the equipment rather than the end user, the proponents always oversell and under deliver and are in denial of reality [even in this article they asked for more time and smarter riders], and the proponents only focus on the politics and not on the general public wants/needs for government programs for mass transit. > Conrad Venema, a planner for the Grand Rapids transit system, insists however that transit officials are “happy” with the Silver Line’s performance – even though it’s serving just over half the projected 5,000 weekday riders a day. That's completely false. Of course. The Rapid projected 7,200 riders per day in *its first year of service. * Nearly five years later and the real number is around 2,700. And now the Rapid is building a second "silver line" called the "laker line" for $72 million that will do nothing but duplicate the existing bus 50 route. Sounds like whoever did those ridership projections that were wrong by a factor of 2 should be exposed so they don't get any more contracts for this kind of work. Why are they and their methodology not even identified in this article?